The product is designed for interior and exterior applications and is great for repairing minor tears in polyethylene greenhouse film. 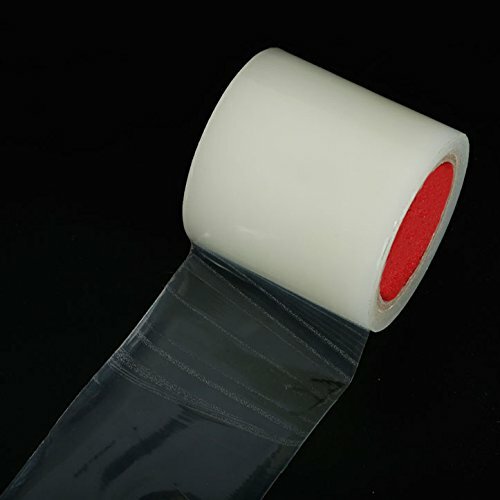 Both tape and adhesive are UV protected to help prevent deterioration.For most effective patching, delay repairs until the sun is shining so that both the plastic around the tear and the tape are warm. Thoroughly clean the area around the hole with glass cleaner. Patch with tape on both the inside and outside of the tear, if possible. Alternatively a patch may be cut from a section of extra polyethylene. Place the patch over the tear and tape the edges with poly repair tape, followed by taping over the entire patch. These methods result in strong patches that will preserve the integrity of any greenhouse or grow tunnel. UV and weather resistant for exceptional durability and strength. Extra sticky surface give it superior holding power, also used for cracked glass greenhouse panes in glasshouses. Guarantee three years will not fall off, after bonding twenty-four hours, the effect is better. Greenhouse repair tape is easy and fast to use without expensive tools or equipment.